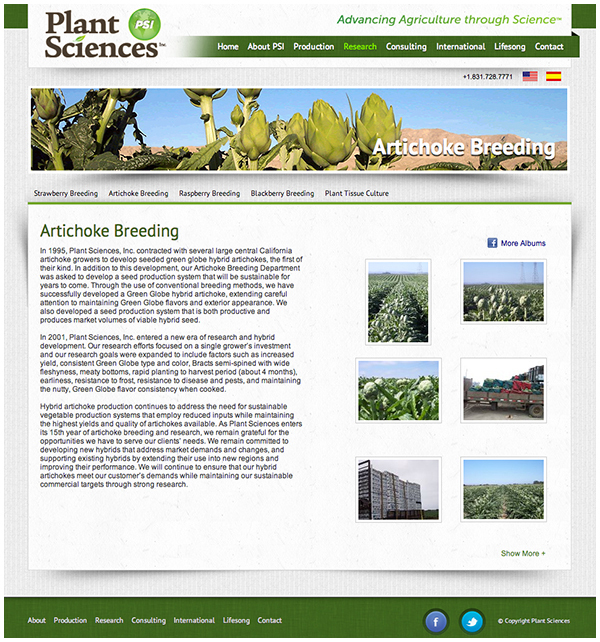 Plant Sciences Inc. is an international Agricultural Research and Consulting Laboratory. 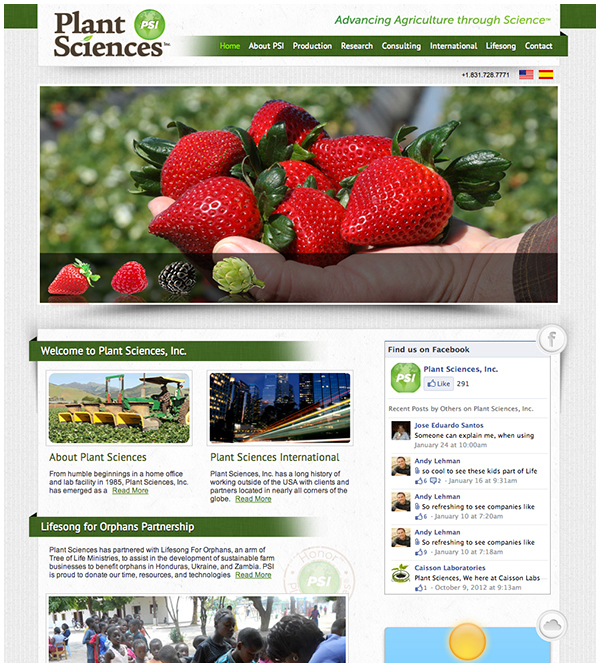 Plant Sciences operates dozens of companies on five continents and turned to Uzzi Creative to rebrand and relaunch their enterprise website. 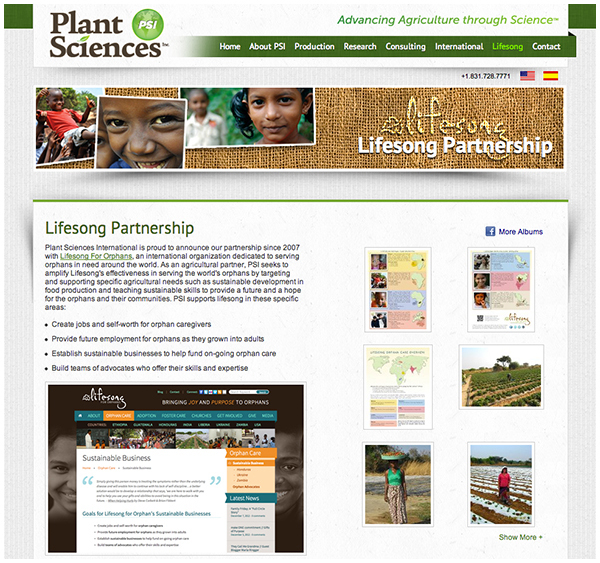 In addition to an identity system, Plant Sciences retains Uzzi Creative to equip them with all of their web development and marketing collateral, including event collateral for the many conventions and events they participate in around the globe. From design to fulfillment, Plant Sciences knows where to turn for everything from web design and product packaging, to brochures, event collateral, and swag.